When the summer vacation comes to its half way, we can start the best preparation for the homecoming day, especially to our girls. New and fashionable dresses and accessories are necessary. The well-matched haircuts also need cost time to choose. According to some feasible datum, there are some trendy and glamorous haircuts for your reference. Make a big statement and try thick, blunt bangs like Zooey Deschanel’s. And keep the rest hair to be long and layered. Love all things ’70s? Taylor Swift’s new look taking on the Mullet not only adds a classic feeling, but also do to be modern on her. Because this is Taylor. Your next salon appointment couldn’t miss this look. If you want your hair to like Miley Cyrus’ in this picture, to try a wavy bob with lots of layers and brown to blonde ombre body. This haircut will make you look fresh and cool at the same time. To add edges to a short, choppy haircut like Kristen Wiig’s, simply this cut will take a bit of styling wax on the tip hair. On the homecoming day, to be the point the lights and attention are paid to, you could wear like Kerry Washington’s on the Hollywood red carpet, a full and curled lob. If your own hair or hair pieces are enough long, you can try Julia Robert’s flattering haircut, which is casual but also charming. This haircut seems to be similar to the last one on Julia Robert’s except for the hair color. But this one is shorter than the last one. 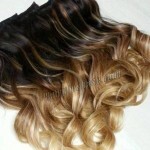 And this cut can be made out of original straight hair, or wavy hair or even curled hair. Look! On Courteney Cox’s head, it’s simple and graceful. At first, the red copper hair would catch some attention. And making the front sections of the hair into curls, the rest hair to be casual flyaways. Your candid personality will show, which will add your affinity and catch more guys’ attention. You’ll be the star like Emma Stone. Scarlett Johansson’s this bob haircut seems to be mussy. But it is shaped in fact. It’s rather easy to do up. Just follow your natural texture of our hair, after washing, tousle and air dry the hair, the look goes out. Long, loose waves never go out of style. They’re so romantic. Like Selena Gomez, to show the goddess feeling. Here’s to the ’60s! 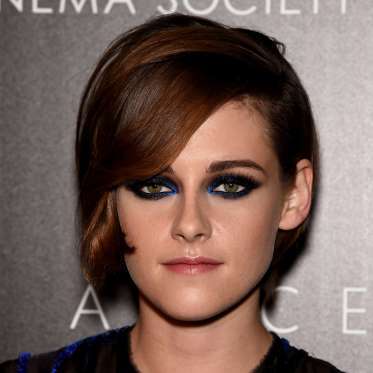 Kristen Stewart’s sleek style combined with short layers at her crown and longer ones closer to her face, a T-stage or drama style, neat and characteristic. The shoulder-grazing lob on Kristen Bell looks cute and sweet. 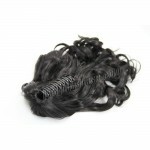 It’s versatile for any occasion, even your own hair or hair pieces are a little longer than this length. It’s easy to style. Just a simple lob with a little wavy. With lovely wavy layers and some other color on Gabrielle’s brown hair, this medium long haircut is glossy and fabulous. And it will be fit for any kind of skin color and face shape. There must be someone for you. 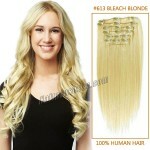 If you need, some hair pieces will help you to create the best haircut to you. We’re always ready to help all of you.